Building operations staff spend too much time manually controlling various mechanical and electrical equipment that form part of the air conditioning system. Comfort related problems are only identified via complaints from building occupants since maintenance staff don’t have the tools to identify problems as soon as or before they arise. Existing building management systems have limited functionality, are difficult for maintenance staff to use, and/or are frequently under breakdown. Adequate information about the central equipment’s performance and efficiency is not conveniently available such that intelligent operational decisions can be made. Such existing conditions leave money on the table and expose organization to unnecessary risk. Solution: DeJoule – Smart Joules’ air conditioning optimization platform saves energy automatically and simplifies operations. Full transparency into equipment operations from visualization of temperature, flow, power consumption, plant performance and efficiency. Monitoring of user-defined rule-based alarms on details including average supply and return temperatures, VFD speeds, and more. Performance charts over any defined time period, incorporating past data to illustrate changes in equipment or plant performance over time. This has the additional benefit of allowing for early detection of equipment maintenance needs. Chiller scheduling and set point management to provide adequate cooling to building occupants without overcooling and wasting energy. Custom design of system-level energy optimization algorithms for central equipment’s of any configuration. This technology allows the system to dynamically adapt to changing load, weather and occupancy conditions to yield the lowest possible kW/ton, and the greatest energy and cost savings while maintaining superior occupant comfort. 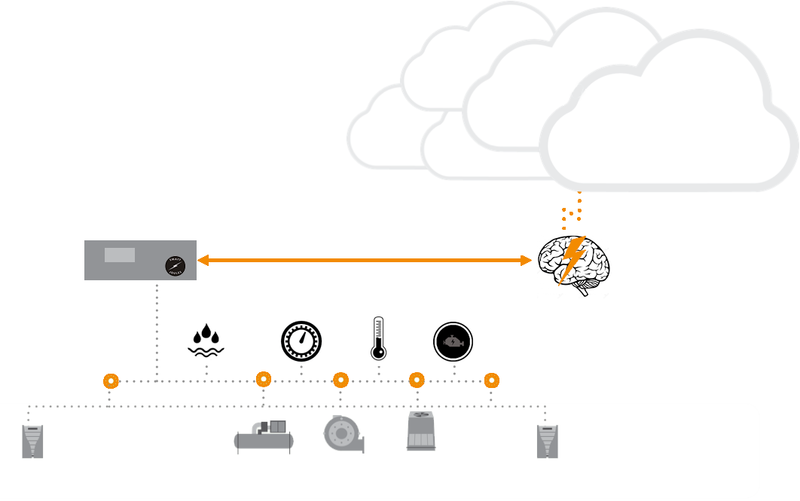 Existing or new sensors for energy and environmental parameters are connected to Smart Joules’ self-designed control hardware on site. The control hardware establishes two-way communication with DeJoule software to transmit diagnostic data over a Wi-Fi connection, and to accept control commands (on/off, chilled water set point, VFD frequency, etc.) for execution on site. 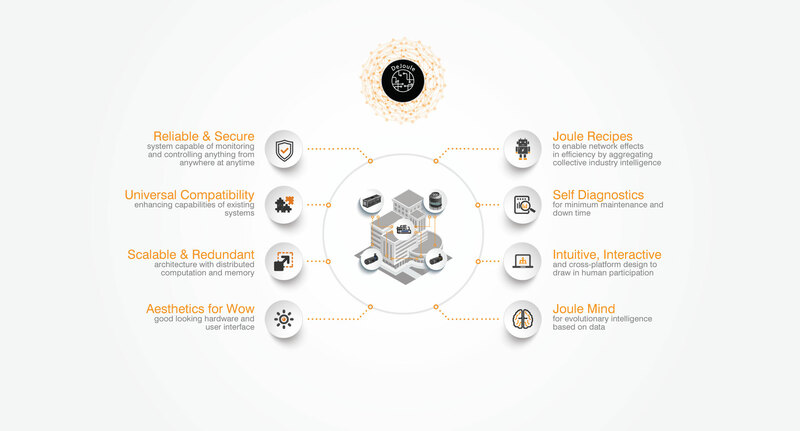 These commands can be given manually from the cloud-based software or generated automatically using energy optimization algorithms custom-designed by Smart Joules for your facility. Reports, alerts and alarms can easily be configured by your team for changes over time or managed by Smart Joules’ team for continuous detection of improvement opportunities.